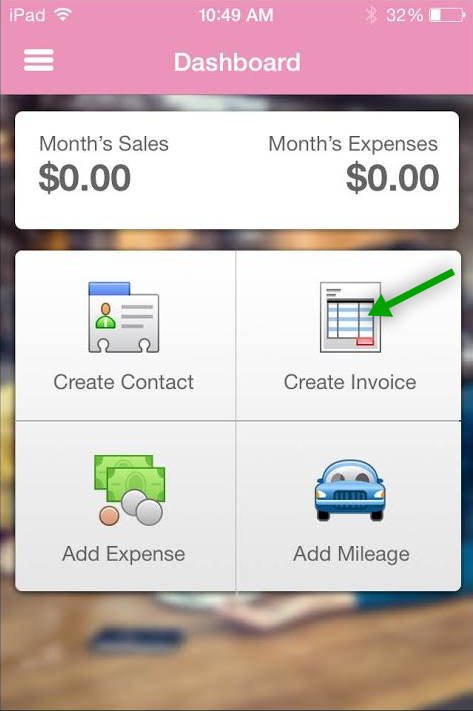 To create an invoice start at the Dashboard screen and click "Create Invoice." 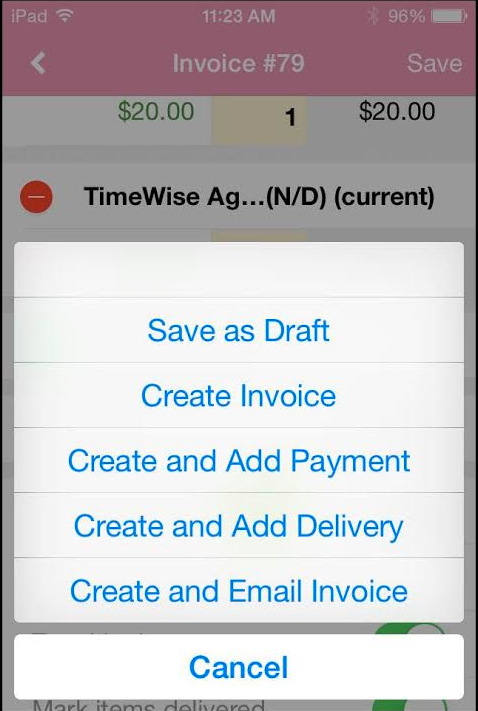 Next, choose what kind of invoice you are creating. (If you'd like to associate this invoice to an existing party be sure to create that party on the web version which can be found at www.pinkoffice.com. Log in with the same username and password that you've already created.) 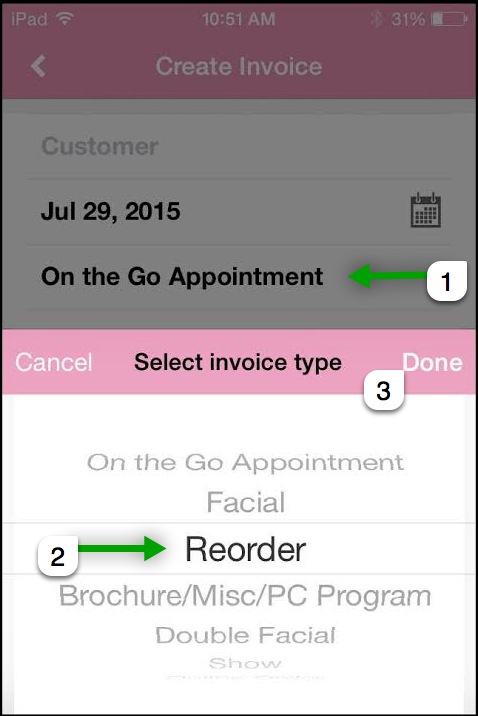 Click the field that says "on the go appointment" to change the invoice type if you so desire. 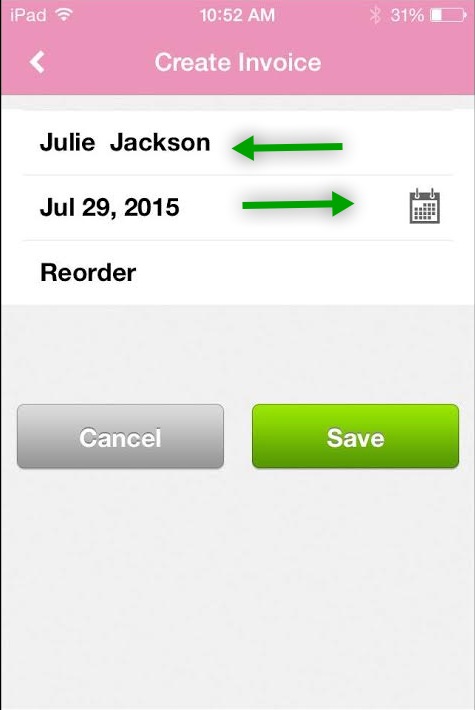 Also, choose the customer and change the date if necessary. 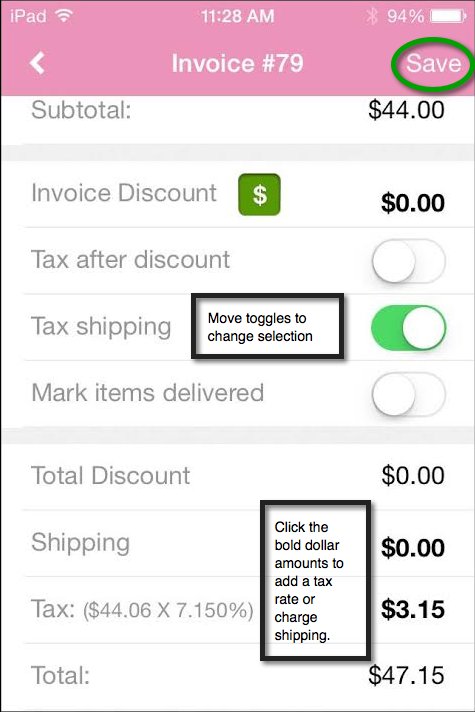 Once you have the products chosen you can choose whether or not this invoice should have a discount, change the tax and mark it delivered. 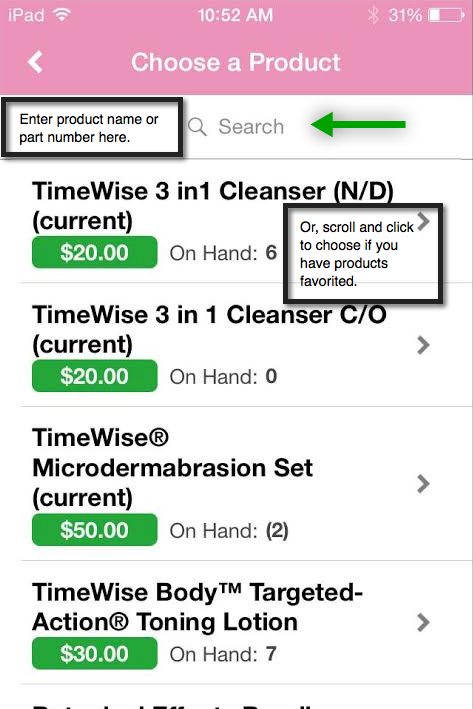 (Delivering products will remove them from your inventory.) Once you have made those choices, click "Save." Clicking save gives you just a few more choices...you're almost done! Nice work! Aren't you so professional!